all spares bought at other times were treated as inventory. Then, the company merged with another and they had a different policy in that only spares valued over $1000 per unit were inventory, all others were expense. I can recall the month this policy changed, the accounts had a few hundred thousand dollars extra expenses as the lower value inventory items were written off to the income statement. In IFRS terms, there may be two standards at play, IAS 2 on inventories and IAS 16 on Plant, Property & Equipment. So how is it decided whether a spare part is inventory or treated as an item of PPE? The general consensus, although not specifically stated in any IFRS, is to treat higher value items as an asset and lower value items as inventories. If an asset, then the question arises if the spare should be depreciated. There is a good logical argument that a spare should not be depreciated until it is put in use, so it remains on the books at cost value with adjustment for any impairment. Whatever is chosen, the accounting policy probably should disclosed if the value of spares is material – and in large manufacturing concerns it can be. Just to complicate things further, from my experience, maintenance staff may still want to have an inventory of some low value, but critical spares even if expensed. I have seen SAP being used to track the quantity of spares held, but with no value attached (as they have been expensed). A good example might be a control panel for a machine. It may be for example a small touch screen worth $300, and expensed in the accounts. But the machine cannot work without it, so it is good to know if a spare is in stock and where it is – the latter being important when perhaps another plant in the group has a spare on hand. 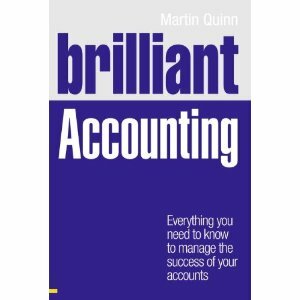 Finally, here is a nice tutorial on accounting for spares.